Is the Team Plan Right for You? There’s no denying the fact that salespeople rely heavily on emails. Emails are key to making first contact with new prospects, building trust in your product, and maintaining your relationship with existing clients. Yesware’s Team plan will give you tools to be more productive, additional insight into the effectiveness of your emails, and details reporting on your activities. Organize your account members into teams with multiple managers and shared, standardized templates. With Yesware’s suite of email productivity tools including tracking, scheduled emails, and reminders you’ll be able to sell more effectively. Tracking is at the core of Yesware and gives you immediate feedback on the effectiveness of your message. When you use tracking, you’ll be notified in real time when your prospect opens your message and interacts with it by clicking links and finding out more about your product. The Team plan will make sure that you have an unlimited supply of these notifications so you’re always gaining insight about the people you communicate with. Don’t sit around waiting for the best time to send an email – set it and forget it! With Yesware’s scheduled emails, you can guarantee that your prospects are receiving your message exactly when you want them to. 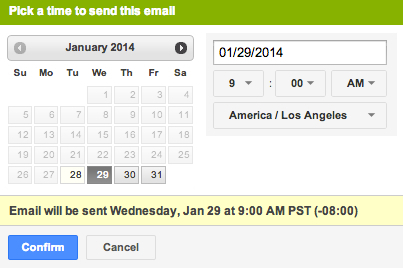 Choose the date, time, and timezone that you’d like to have your message delivered and we’ll take care of the rest. With Yesware’s Mail Merge, you can quickly send personalized emails to up to 200 recipients at once. You can schedule mail merges and automated follow ups for up to 3 months in advance. Yesware Mail Merge streamlines your email outreach process by merging templates with information customized to each recipient, such as names, company, dates, etc. Our Team plan is an ideal solution for midsize sales teams that want to streamline their email communications and gain insight into team activities. You can create an unlimited number of teams with unlimited members, review and share effective templates, and get advanced reporting on all team activities. Unlike the Pro plan, the Team edition of Yesware lets you see full detailed performance for your team as a whole as well for individual users. We’ve made the Team Template Report, Team Tracking Report, Team Activity Report, and Team Prospects Report to make team management easier for everyone. Yesware Team edition makes it easy for members of a sales team to collaborate. When you first sign up for Yesware, we’ll take any standardized emails that your team uses and share those out to each member for you. Think the Team plan is the right plan for you? Head over to our plan overview page to get started.